Tribute to Cardinal Simon Pimenta; from SILENT VOICE. Simon Ignatius Pimenta (1 March 1920 – 19 July 2013) was a Roman Catholic Cardinal and Archbishop Emeritus of Bombay (now Mumbai). Pimenta was ordained on 21 December 1949. Before coming to Rome to study at the Pontifical College of St. Peter the Apostle, he served as assistant parish priest in Bombay and worked with the Bombay Curia. In 1954, Pimenta graduated in Canon Law at the Pontifical Urban University. On 5 June 1971 Pope Paul VI appointed Pimenta as an Auxiliary Bishop of Bombay, giving him the titular see of Bocconia. He was chosen to become the next Archbishop of Bombay by Pope Paul and was thus appointed Coadjutor Archbishop of Bombay on 26 February 1977. On 11 September 1978 he succeeded Valerian Gracias as the Archbishop of Bombay. He has served as President of the Indian Episcopal Conference. He was created Cardinal-Priest on 28 June 1988 by Pope John Paul II with the titular church of Santa Maria Regina Mundi a Torre Spaccata. He became Archbishop Emeritus of Bombay on 8 November 1996 with the appointment of Ivan Dias as his successor in that see. He died on 19 July 2013. Vatican City, 20 July 2013: ‘Having learned with sadness of the death of Cardinal Simon Ignatius Pimenta, Archbishop Emeritus of Bombay, I offer heartfelt condolences to you and to all the clergy, religious and lay faithful of the Archdiocese’, wrote Pope Francis on Saturday in his condolence message sent to Cardinal Oswald Gracias, Archbishop of Bombay. Cardinal Simon Ignatius Pimenta, who led the Indian Church during one of its critical periods, died in Bombay on Friday after a brief illness. He was 93. ‘Recalling with gratitude, Pope Francis said, Cardinal Pimenta’s long years of devoted service to the Catholic community there and his many years of faithful assistance to the Successor of Peter as a member of the College of Cardinals. I join you in praying that God our merciful Father will grant him the reward of his labours and welcome his noble soul into the joy and peace of the heavenly Kingdom’. Pope Francis imparted his Apostolic blessing to Cardinal Pimenta’s relatives and all assembled for the Solemn Requiem Mass for the Cardinal. A spokesperson of the Catholic church said the funeral details would be announced within a few days. Members of the Catholic community will pay their respects Saturday morning at the Clergy Home at Bandra. The late cardinal headed the Indian Church as the president of the Catholic Bishops’ Conference of India (CBCI) in 1987 when Pope John Paul II allowed the country’s three ritual Churches to set up their own separate espiscopal conferences amid fears of tension, rivalries and acrimony. 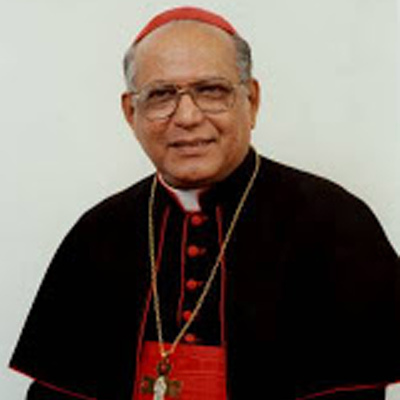 The cardinal was the archbishop of Bombay, the largest Catholic diocese in India, from 1978 to 1997. Later when he was made the cardinal observers said the multi-faceted prelate earned the honor because of his ability to think critically and to be open to changes. The cardinal proved his leadership abilities in the Church by keeping his equilibrium when several contentious social and religious issues came to a head. The Indian bishops endorsed their faith in his ability to guide the Church by electing him the CBCI president three times. During his six-year presidency, the Church weathered one of the severest tests of its unity — the inter-rite issue and the claim of the Oriental Churches to a separate identity. After failure to achieve consensus on the matter at two successive CBCI meetings, the archbishop minced no words when he asked bishops “to rise above ourselves, our personal likes and dislikes, our differences, and chart a new and prosperous path for the Church in India.” The bishops at a plenary of the conference unanimously approved the new statutes of the CBCI, ending speculation about sharpening divisions among the rites. Bombay´s second cardinal, Archbishop Pimenta was born at Marol in Bombay on March 1, 1920. He did his primary school studies in Marathi and passed the matriculation exam at St. Xavier´s High School in 1936. He graduated from St. Xavier´s College with a degree in arts. As a youth, Cardinal Pimenta was a voracious reader and a music and sports enthusiast. He played the violin and was skilled in cricket and hockey – which accounted for his frequent allusions in speeches to cricket and harmony. After ecclesiastical studies at the diocesan seminary, he was ordained by the late Cardinal Valerian Gracias in 1949. Two years later, he joined the Urban University, Rome where he obtained a doctorate in canon law. On his return to India, the young priest was appointed secretary at the archbishop´s house, and held posts of vice chancellor and defender of the bond in the matrimonial tribunal of the archdiocese. In 1960 he was appointed visiting professor of liturgy at St. Pius X College, the diocesan seminary, where he lectured for five years. In 1967, he took charge as rector of the Cathedral of the Holy Name and was appointed episcopal vicar for the liturgy and for the pastoral formation of junior clergy. After a short rectorship at the diocesan seminary in 1971, he was nominated titular bishop of Bocconia and auxiliary to Cardinal Gracias. In 1977, he was named coadjutor archbishop of Bombay. On Cardinal Gracias´ death in 1978, he became archbishop. He was a member of the Vatican Congregation for Religious and Secular Institutes, Secretariat for Promotion of Christian Unity and the Pontifical Commission for the Revision of Canon Law. The late cardinal´s balanced approach on controversial issues had been frequently quoted in religious and secular newspapers. At a civic reception to the Indian bishops in 1988, Kerala Governor Ram Dular Sinha praised Christians for their contribution to the country´s development. Archbishop Pimenta, responded, asking the authorities to accept, not suspect, the Christian community. Governor Sinha had accused Christian missioners of fomenting trouble in Chhotanagpur region in eastern India when she was the federal home minister. Cardinal Pimenta was quite vocal in 1992 when India went through sectarian violence that threatened the country’s secular credentials and existence as a single nation. The worst affected was Mumbai, India’s commercial capital. He told an interreligious gathering in Mumbai that India had “deep psychic wounds” that needed healing. He was the member of the “Sarva Dharma Maitri Pratishtan” (trust for all faiths friendship) that organizes peace marches and interfaith meetings in Mumbai. He also warned that a political party would become sectarian and exclusive if it aligned closely to a particular religion. He had also urged Hindus and Muslims to avoid irritants to ease interreligious tensions and urged both groups to reassess religious practices that do not affect the faith but irritate others. He said riots can easily be triggered by loud speakers, bells, drums and religious processions. “Such practices are not desirable and need to be looked into,” he used to say. In his own diocese, the cardinal called for a diocesan synod and was very active in pastoral and charitable activities especially in managing 12 hospitals and 44 dispensaries, and has dedicated much to Catholic education. MUMBAI: Cardinal Simon Pimenta, archbishop emeritus of Mumbai, passed away Friday night. He was 93. The end came around 9pm at Clergy Home where the cardinal was recuperating from age-related ailments. Auxiliary bishop Fr Dominic Savio Fernandes said the cardinal was well all day. “He had eaten his dinner and was resting when one of the nurses in the home found him slumped in his chair. A doctor was quickly summoned but the end had come by then,” he said. 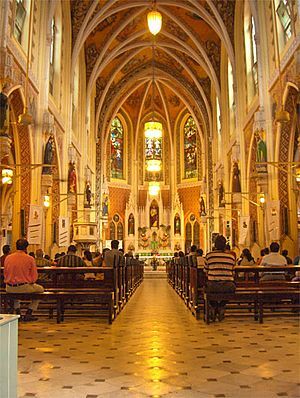 Senior priests from the Archbishop’s House in Colaba had come to visit another clergyman who had suffered a heart attack and was admitted to Holy Family Hospital in Bandra. It was then that they heard of Cardinal Pimenta’s death and rushed to Clergy Home. Cardinal Pimenta was born on March 1, 1920, in Marol village, Andheri, to Joseph Anthonyand Rosy Pimenta. He was an alumnus of St John the Evangelist School and St Xavier’s College. He was ordained priest on December 21, 1949. He retired as Cardinal at the age of 75 to make way for Ivan Dias. “He was a nice, holy person who will be remembered for his giving, generous ways. He served as Cardinal from 1988 through 1987. He was an important leader not just in Mumbai but indeed India given that he was elected president of the Catholic Bishops Conference of India (CBCI) three times and visited Rome to attend various Synod meetings,” said Fr Savio. The Mobai Gaothan Panchayat mourned the death of the man who made the East Indian community proud. Created and proclaimed cardinal by John Paul II on June 28, 1988, he chose to retire in November 8, 1996. Cardinal Simon Pimenta, archbishop emeritus of Bombay, passed away on Friday. He was 93. The cardinal, who retired 16 years ago, was at the Clergy Home, the residence for aged priests in suburban Mumbai, when the end came, a church official said. The details of the last rites will be decided and announced on Sunday. Born on March 1,1920 in Marol, in suburban Mumbai, Pimenta was ordained a priest on December 21, 1949. He obtained a doctorate in church law from the Pontifical Urban University in Rome in 1954, and after returning to Mumbai, he was given different responsibilities. He was secretary to Cardinal Valerian Gracias, taught liturgy at the seminary and was in charge of the formation of young priests. He also published some works. He was appointed titular Bishop of Bocconia and Auxiliary of Bombay in June 1971. Some years later, Pope Paul VI nominated him coadjutor archbishop of Bombay and on September 11, 1978 he became archbishop. As archbishop, he called for a special conference of religious and lay people, he was active in pastoral and charitable activities like managing hospitals and dispensaries, and dedicated much to Catholic education. He was president of the Catholic Bishops’ Conference of India for three consecutive terms until 1988. Cardinal emeritus Simon Pimenta, the second cardinal of the Archdiocese of Bombay, passed away on Friday night at the age of 93 at the clergy home in Bandra. 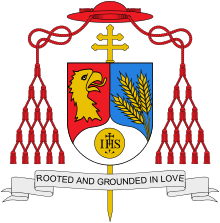 The cardinal, who had presided over the Catholic Bishops’ Conference of India (CBCI) for three terms, was appointed by Pope John Paul II as the cardinal in 1988 and went on to serve the diocese till 1996. The cardinal, who hailed from Marol, was ordained as a priest of St Peter’s Church in Bandra in 1949 by the then bishop Valerian Gracias, who was the first cardinal of the archdiocese. Pimenta succeeded cardinal Gracias as the bishop in 1978 and then as the cardinal ten years later.